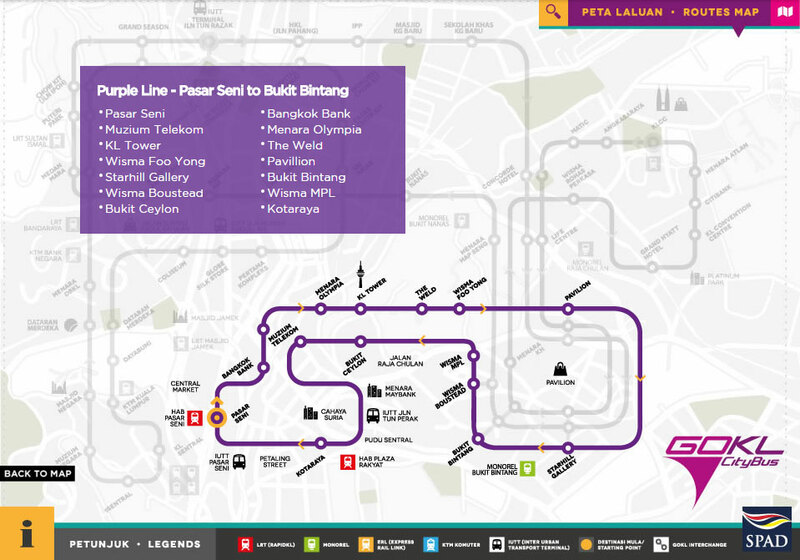 The purple buses are a new iniative by the government to ease commuting within in the city centre. 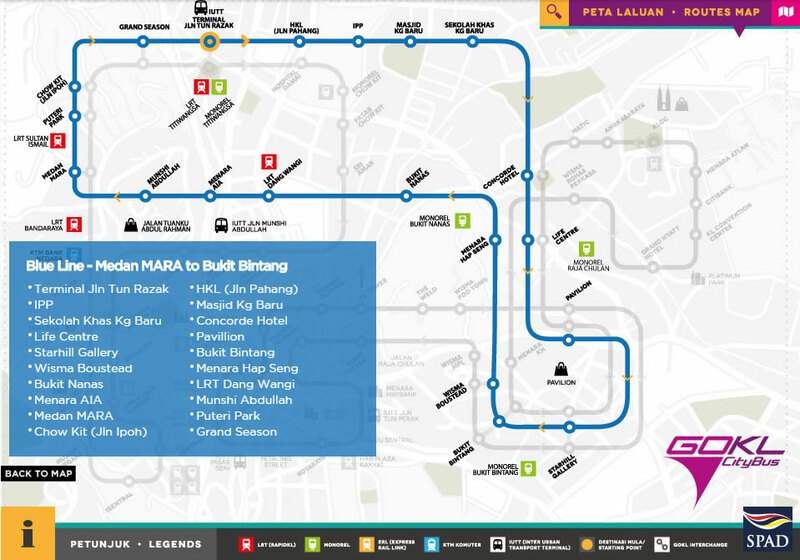 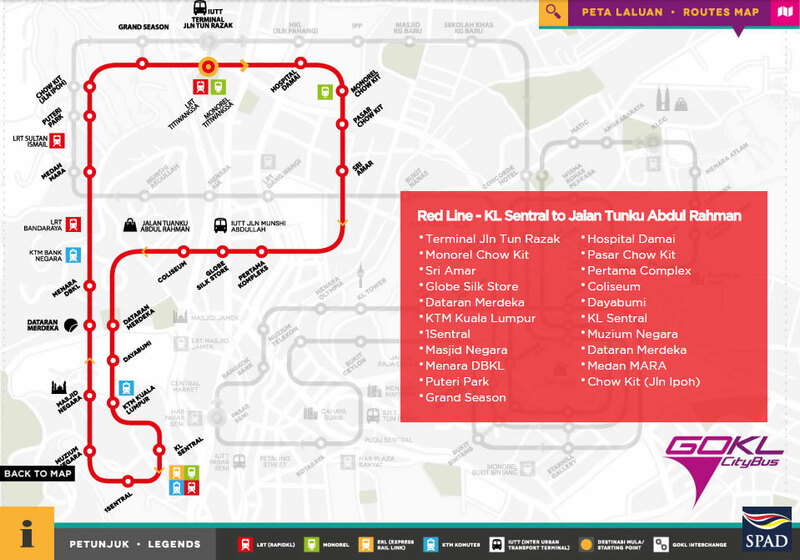 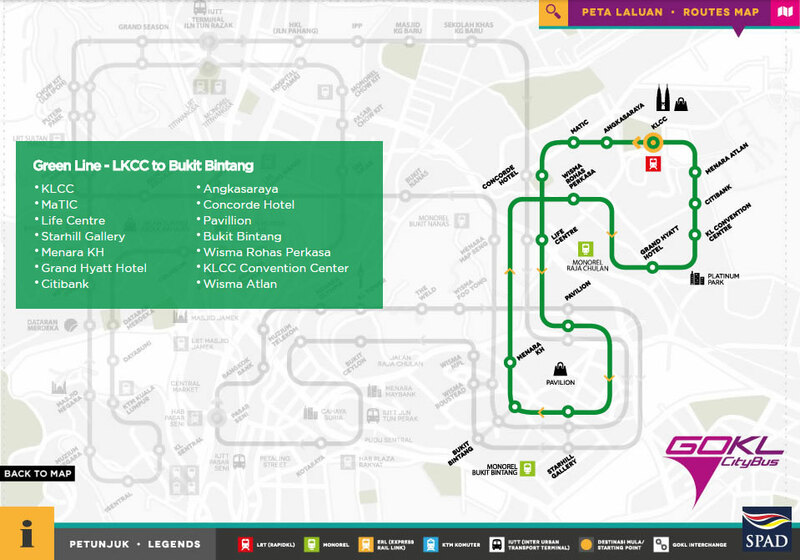 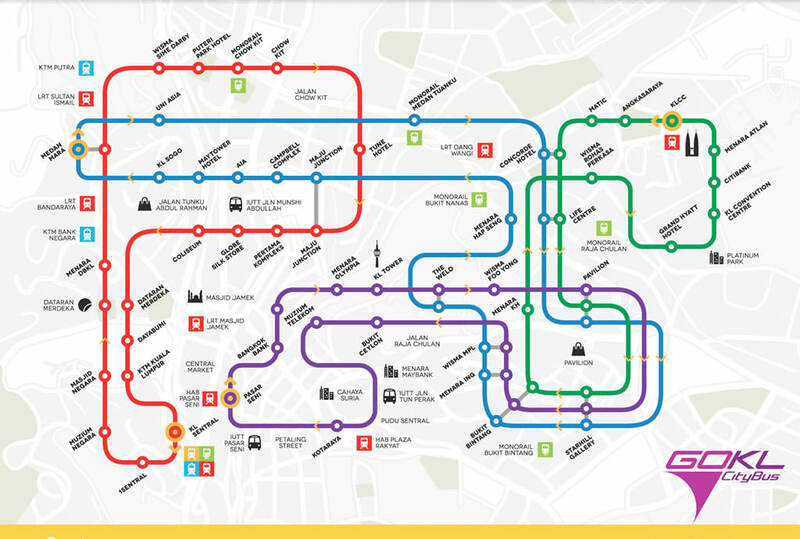 At the moment they remain free of charge and run on 2 lines - the purple line (7.4km, 14 stops, connecting Bukit Bintang und KLCC/Twin Towers) and the purple line (6.5km, 15 stops, connecting Bukit Bintang und Chinatown). 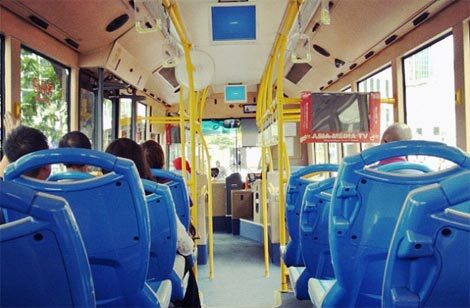 There is Wi-Fi available inside the buses. 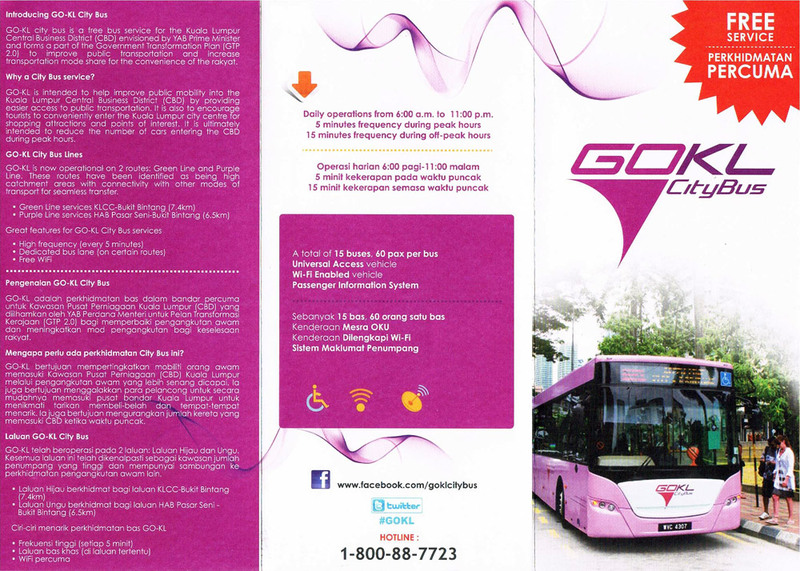 The content and images of this flyer / brochure are courtesy of: © GO KL City Bus It was released sometime around 2012. 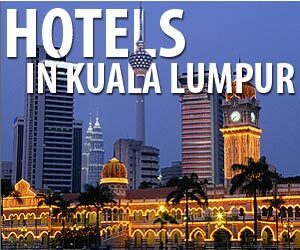 Some information might not be up-to-date anymore.